This past weekend, I found myself at a Subway in North Carolina around 9:30 pm after my niece’s high school graduation. My sister and I, starving after sitting and watching the ceremony for hours, decided on our way back to our AirBnB we HAD to grab something for dinner. We rolled up to the drive-thru and waited for the proverbial voice to come from the speaker under the massive menu board. I yelled, “Heeeeeellooooo-OOOO-ooo?” Twin Peaks-style into the drive-thru speaker, thinking maybe they already greeted us and maybe I just didn’t hear. But alas, crickets. Well actually, it was more like mosquitos in our case if the bites all over my body are any indicator. After waiting a few moments, I pulled into the parking lot, and we went inside to order instead. The treatment didn’t get any better from there, folks. We walked in, approached the counter, and the two employees just stared and didn’t address us, while we stood there awkwardly. We looked around to see if they were, in fact, open (they were) and if they had intended to close soon (we were nowhere near closing time) so naturally, we wondered what was going on that was so confusing or stare-worthy. We chose to believe this was happening because we’re so stunningly beautiful, which absolutely must have been the case. Because #selfesteem. Finally, my sister and I started ordering unprompted while the worker begrudgingly assembled our sandwiches, awkwardly stopping when he didn’t know what else to add and looking at us with intense exasperation. In short, my sister and I had to guide THEM through the process of how Subway works, rather than them guiding US. I mean, who knew in my spare time I was a “Sandwich Artist.” Is that a new career option for me? APPARENTLY. Oh, and sidenote: Naturally, they left off half the ingredients we asked for. Because of course, they did. So why am I telling you about this experience and my apparently high-maintenance sandwich needs? For the record, it was just a 6-inch veggie delite on wheat with everything on it. I didn’t even get it toasted! 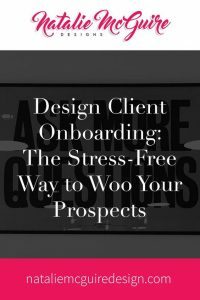 Because your onboarding process is what sets the stage for what it’s like for your client to work with you. If no one is at the drive-thru, or in our case, answering project inquiry e-mails or phone calls within a day, how many people will simply “drive” away? If the client does actually talk to you, but they guide the entire interaction, do you look like the expert you are? Does that instill any confidence with your prospect that you’re capable of managing their project at all? Would they want to sign off on your proposal and buy your services in the first place? Maybe, but only if they’re hungry enough. So, how do you make sure you don’t pull a “North Carolina Subway” with your potential clients? First, start by listing out your current onboarding sequence, from when someone fills out your contact form, to when you write a proposal. Second, look at how your process can be streamlined so it can be accomplished in as few of steps as possible. I mean, this helps out you as much as it does your potential client. If you can eliminate unnecessary steps and back-and-forth, or combining multiple steps into one e-mail, or one exchange, you’ve saved your time and energy so you can focus on other things and you look like a total pro in front of your prospect. Third, automate. Look at the e-mail exchanges you have for this process and create a template, like a MadLibs-style e-mail, so you don’t have to write the same e-mails to your prospects again and again. Just keep these templates in your “Draft” e-mail folder so when a new prospect comes in, you can cut-and-paste your way down a seamless onboarding process. Next, let’s get specific with an example. I get an e-mail through the contact form on my site containing basic project questions that prospects have to fill out so I can know just enough baseline information and decide if I’m a good fit for their project at all, if they have realistic expectations around their timelines, budget, and results they want to achieve with their project, if I like and align with the kind of business they have, and if they have any obvious red flags, like bad-mouthing a previous designer or having unrealistic expectations around budgets or timelines. If I decide I like their business and the project, I’ll send them an introductory e-mail that thanks them for contacting me, references some similar projects I’ve done in the past (with links) that solidifies I understand them and have a proven track record, a custom video I create through Loom, and a link to my online scheduler, Calendly so we can have a 60-minute Zoom call to discuss the scope, functionality, and digital strategy needs of their project. Once they select a day/time that works for them to meet with me inside of Calendly, so I don’t have to do ANY back-and-forth (aka wasting my time), the meeting is automatically booked in my system, and I call them on Zoom during our designated time. At the beginning of our call, I mention that I have a set of questions to ask to help guide our conversation and tell them I’ll be taking notes so if they hear me typing, I’m not screwing around on Facebook or anything like that. At the end of the call, I tell them what the next steps are (that I’ll be writing a proposal) and I’ll send it over by X-date. I create the proposal/contract and send it over to them via HelloSign by the day/time I mention, usually within 72-hours max. If they agree to the proposal/contract, they sign it, and I send over a deposit invoice via Xero, so they’re booked in my queue. IF YOU WANT TO PERFECT YOUR ONBOARDING PROCESS SO YOU YOU IMPRESS YOUR PROSPECTS AND GET MORE CLIENTS, THAT’S JUST ONE OF THE PILLARS I TACKLE WITH MY DESIGNER MENTORSHIP CLIENTS. 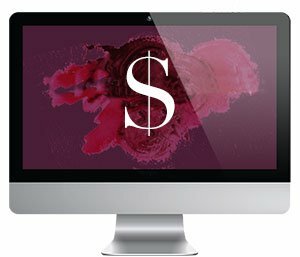 I’m currently enrolling Graphic & Web Designers into 6-month 1:1 Designer Mentorship program designed to help you move from barely surviving in your business to become a strong, stable savvy business owner. If you’re ready to grow your web design business in 2019 with a strategic partner who gets where you’re from and where you want to go, simply contact me to book a free 60-minute Zoom call to discuss how I can help and support you on your entrepreneurial journey. 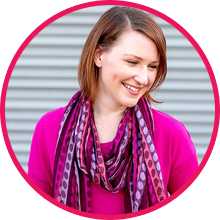 Natalie McGuire is a Web Designer + Coach for Graphic Designers looking to level up the business side of their design business by showing them how to manage clients, balance projects, master their design process and workflow, set income goals, and more.